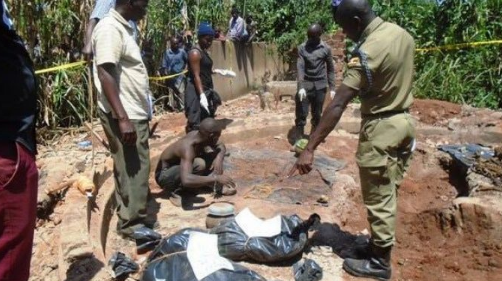 KAYUNGA – Police in Naggalama has arrested four witchdoctors for alleged ritual killing. A disappearance report of Mirembe Zuraika was filed at Naggalama Police Station on August 11 and Police mounted a search leading to the arrest of the witchdoctors. The DPC Naggalama ASP Jessica Naawe confirmed that the relatives of Mirembe reported a case of the disappearance of their daughter and tipped off police that she had talked of having an appointment with a one Owen Sebuyungo, a 24-year-old witch doctor. In his confession, Sebuyungo narrated that Mirembe visited his shrine for help since she had been possessed by evil spirits (empewo). Sebuyungo then contacted his spiritual consultant a renowned witchdoctor Mohammed Wamala alias Bob who enticed him to murder Mirembe. 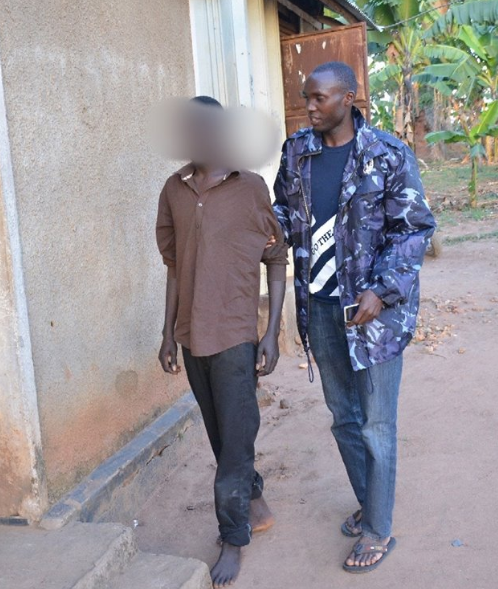 Wamala allegedly told Sebuyungo that he would amass lots of wealth if he could cut off the head of a female human being. Following leads, police conducted further investigations leading to the arrest of a syndicate of witch doctors that are believed to have participated in the heinous act. Upon thorough questioning, the four confessed to having welcomed Mirembe at the shrine and at dawn, beheaded her and buried the head in the shrine. The suspects then led Police to the shrine where she had been buried. 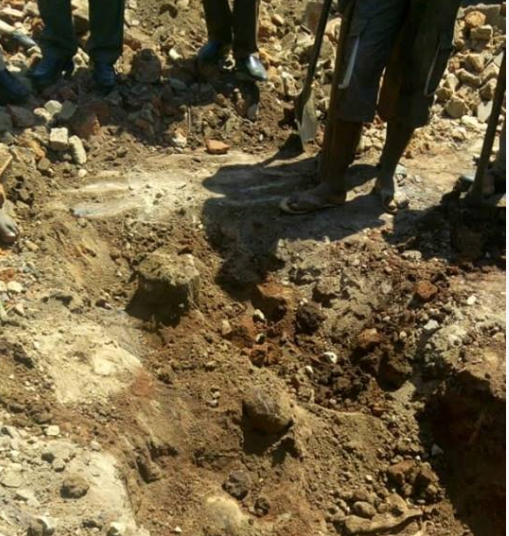 Shockingly five bodies buried in a rather disturbing position were exhumed. Wamala told Police he had ferried over eight females from his home in Ganda Nansana, murdered and buried them at this shrine located in Ntunda Kayunga. Police has also recovered a number of items that include spears and pots filled with fresh blood suspected to be human blood. Blood samples have been picked, taken to the Government Analytical Laboratory (GAL) while the recovered bodies that had decomposed beyond recognition have been taken to Mulago hospital for DNA test so that the relatives can identify them. “The search is still going on. We suspect more bodies must still be buried under the remaining five shrines,” ASP Naawe said. Police has since cordoned off the area as the search for more evidence continues in this strange murder case. The four suspects identified as Junior Kibuuka, Fred Kiiza Semanda, Wamala Muhammed and Owen Sebuyungo are detained at Naggalama Police Station.